Now that it’s almost Christmas, invitations to reunions, family gathering and get-together a will undoubtedly multiply. Finding the perfect place for a gathering is another story. Malls are usually crowded; food from usual places all taste the same and usually, gatherings would require large servings at consumer-friendly places. 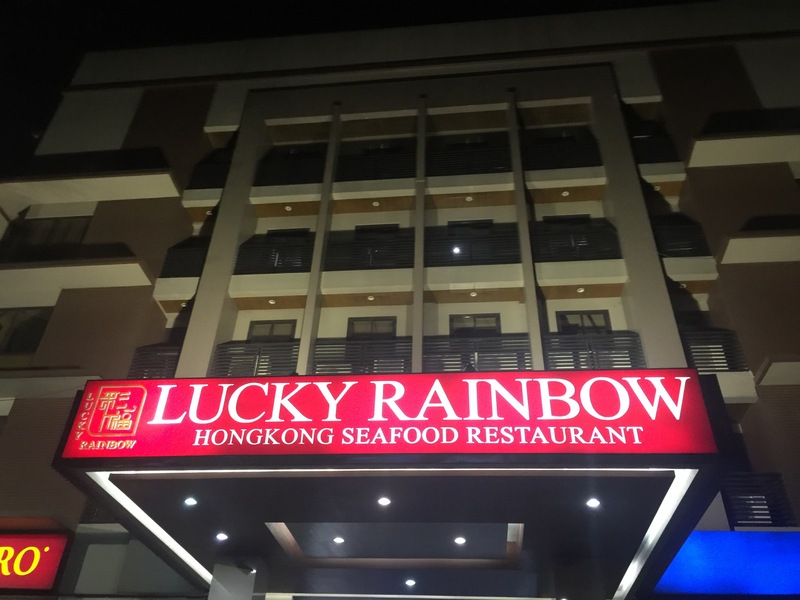 The Lucky Rainbow Seafood Restaurant located in Don Bosco Road (in front of CitiMotors and a block away from Waltermart) provides an exciting and delicious experience for you and your family and friends. 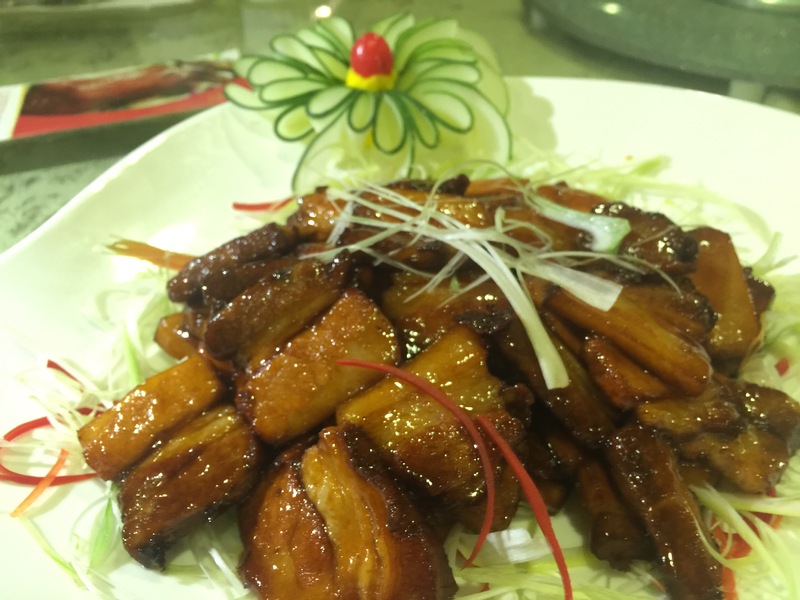 The year-old restaurant, with a capacity for more than 200 people, provides authentic and deliciously cooked Chinese food, without the MSG. On a recent trip to the restaurant, we had the pleasure of sharing the dinner with Mr. George To, one of the brains behind Lucky Rainbow. 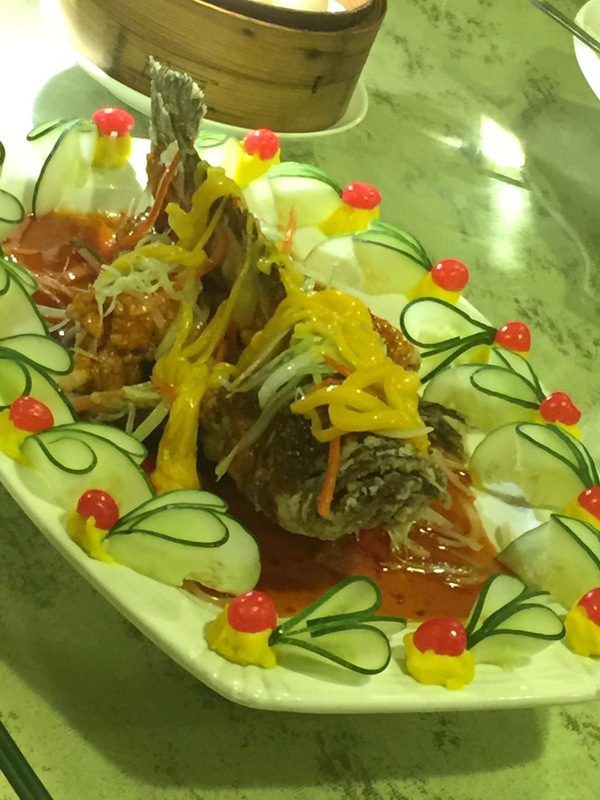 Mr. To shares that Lucky Rainbow was borne out of th desire of his group to provide an authentic Chinese dining experience, with consistent quality and attractive price points. Lucky Rainbow was the product of that initiative. 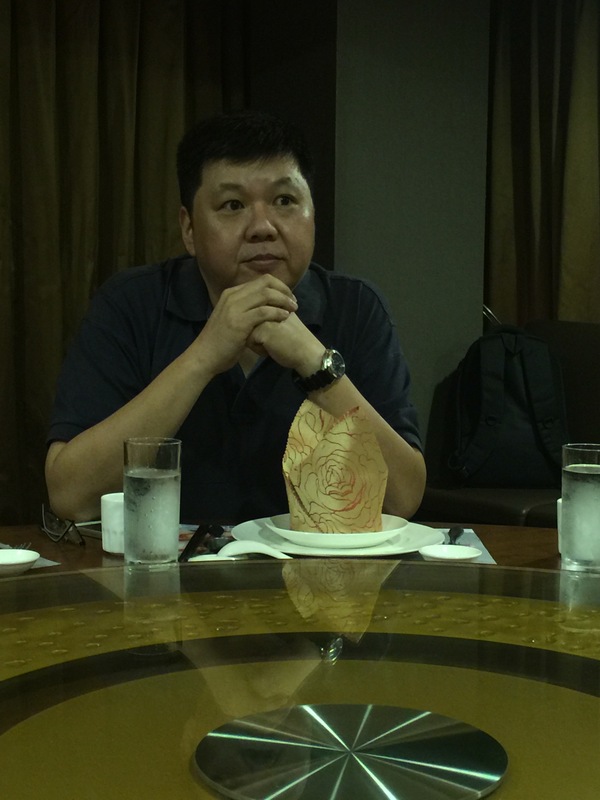 In fact, Lucky Rainbow in its location in Makati was already the third branch, with the first in Ongpin, Manila and the second brand in Banawe, Quezon City. The Makati location is convenient and accessible, with major transportation hubs located nearby. For events and celebrations that needed bigger rooms, Lucky Rainbow had several VIP rooms which one can rent at a consumable price. The interiors are all Instagram-worthy. 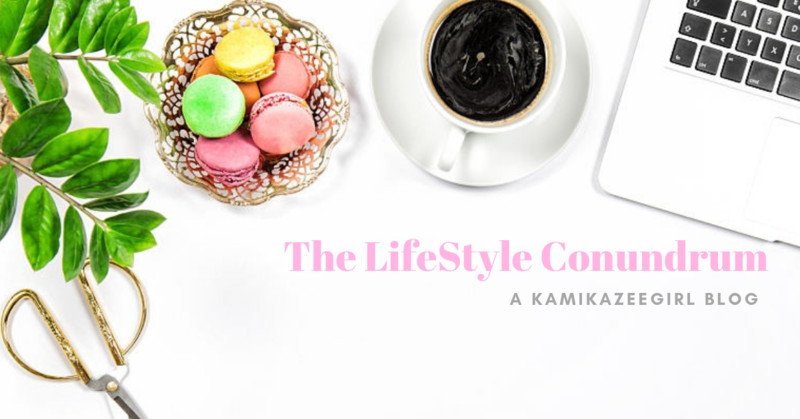 With opulent displays of Chinese lanterns, grand arches, high ceilings, ornately embroidered table clothes, clothe napkins and curtains, as well as restaurant-personalized plates. It’s a place that is intended to impress. 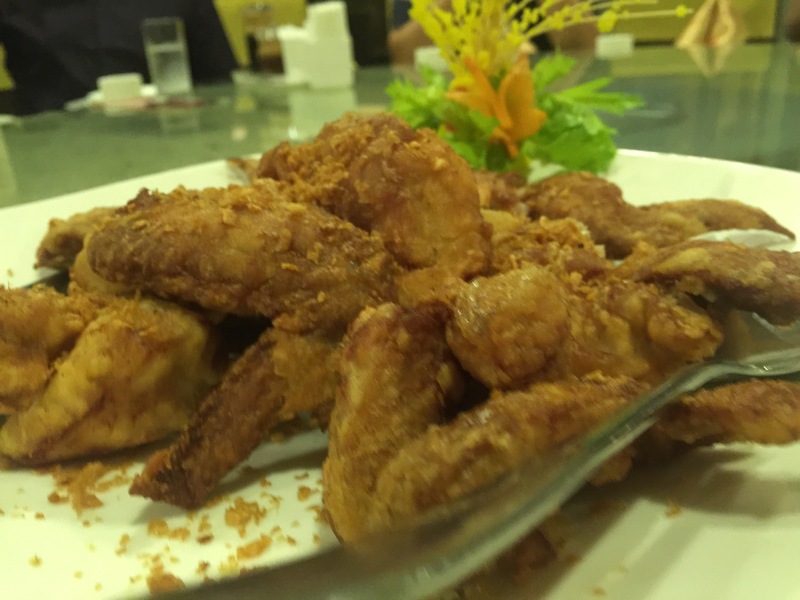 Dinner began with a plate of crispy-fried garlic chicken wings. Cooked golden brown, with the breeding just the right amount of salty-spicy and not too thick to overpower the meat inside. The chicken as juicy and tender. Second course was the Pork Asado. This one was also a keeper but not being a fan of the fattier parts of the pig, I decided to skip this after a piece or two. This is best served with mantao. 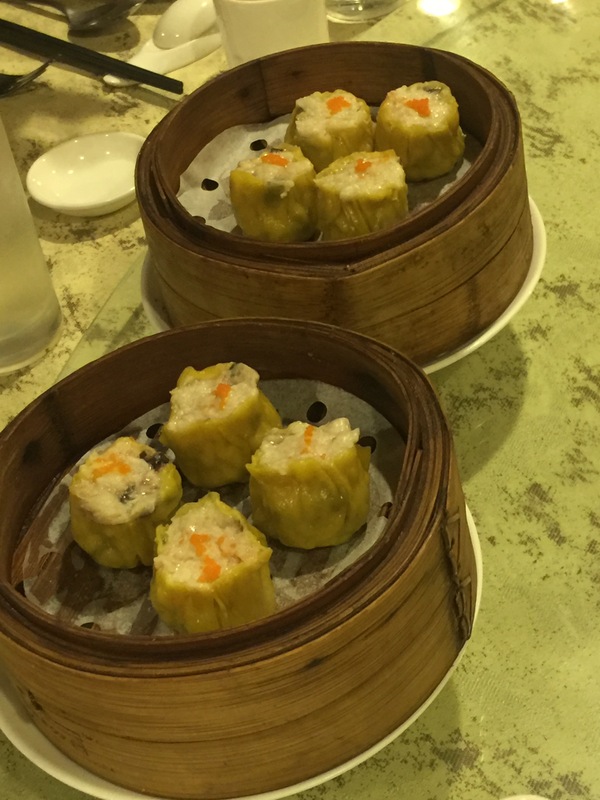 After the two dishes came a succession of dumplings including Hakaw, Siomai and the XiaoLong Bao. 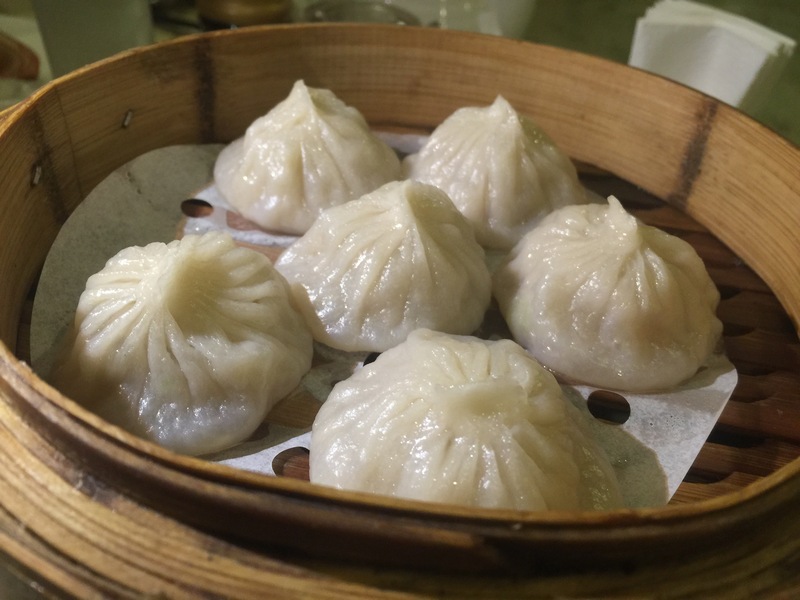 The XiaoLong Bao is to-die-for: the wrapper is tender to the bite; while the soup inside is savory and warm. As soon as you bit into a piece, the soup immediately floods your mouth. It’s a nice starter for a hearty meal. 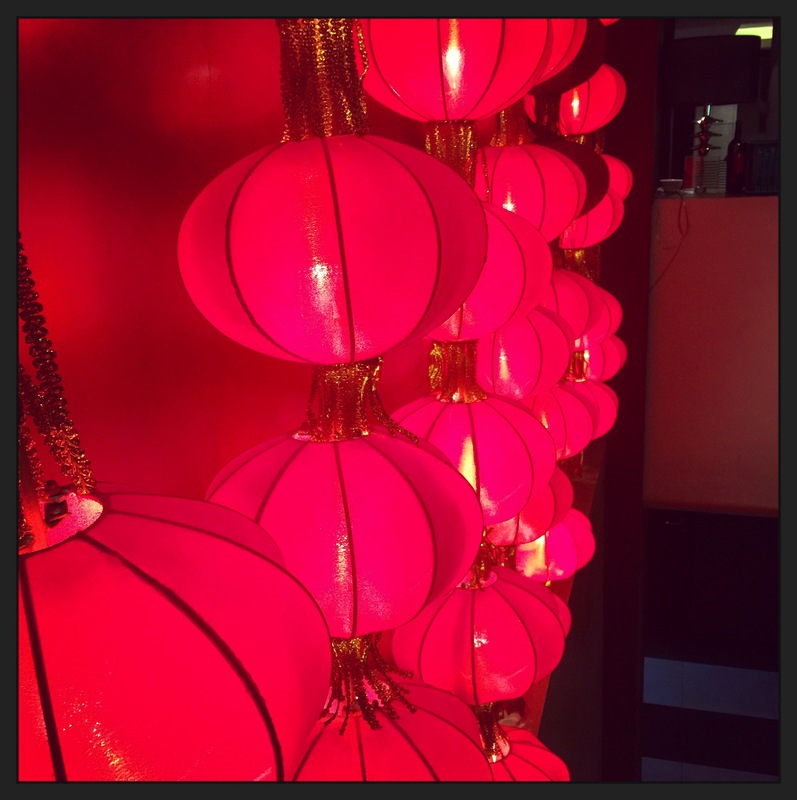 Lucky Rainbow’s version of the XiaoLong Bao is one of my favorite versions. 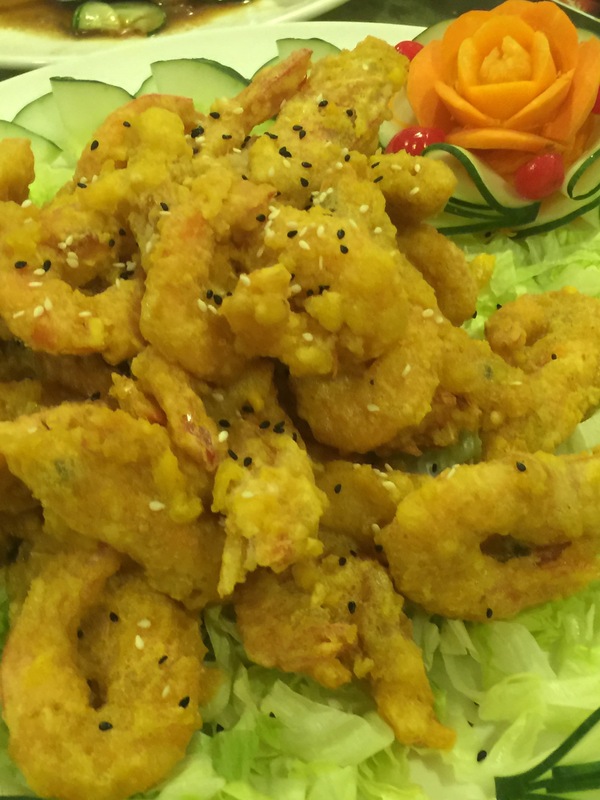 Tasty, hearty yet not too filling to ruin an otherwise sumptuous meal. Next served is the Fried Lapu-Lapu in special mango sauce. My co-bloggers loved this and this was immediately consumed right after we took a photo of it. In the interest of full disclosure, I cannot comment on the taste because I didn’t eat this. I am not a big fan of fish dishes hence I opted to pass on this. But one things for certain, my co-bloggers loved it. This was immediately consumed and finished even before the rest of the dishes was served. The Lechon Macau cold cuts platter features an assortment of Chinese cold cuts from the Century Egg, to the roasted chicken made two ways and the Lechon Macau, among others. The chicken and the Lechon Macau were both tender and juicy to the bite. The skin on the Lechon was thin but very crispy. Also a must-try. 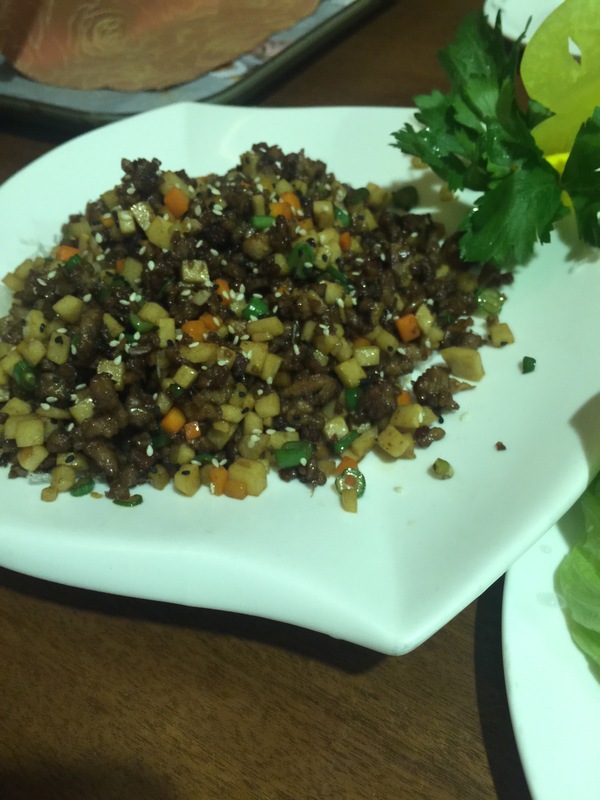 Mr. To shared that the Australian Abalone Fried Rice is one of their restaurant’s best sellers. 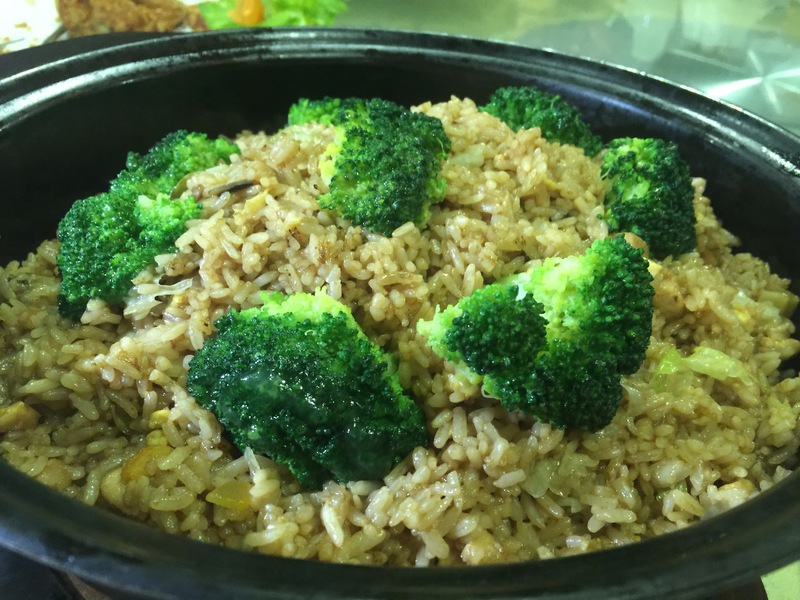 The rice is a perfect complement to the vials served to us, the abalone complementing the chicken and the rice. 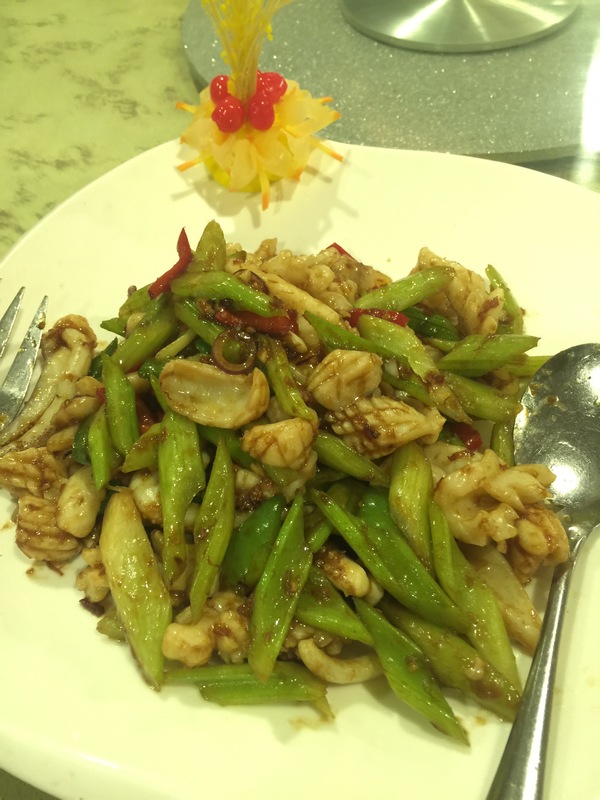 However, it must be my pleibian taste or because I haven’t tasted abalone yet but I would gladly prefer my good old Yang Chow fried rice (also available at Lucky Rainbow) anytime. 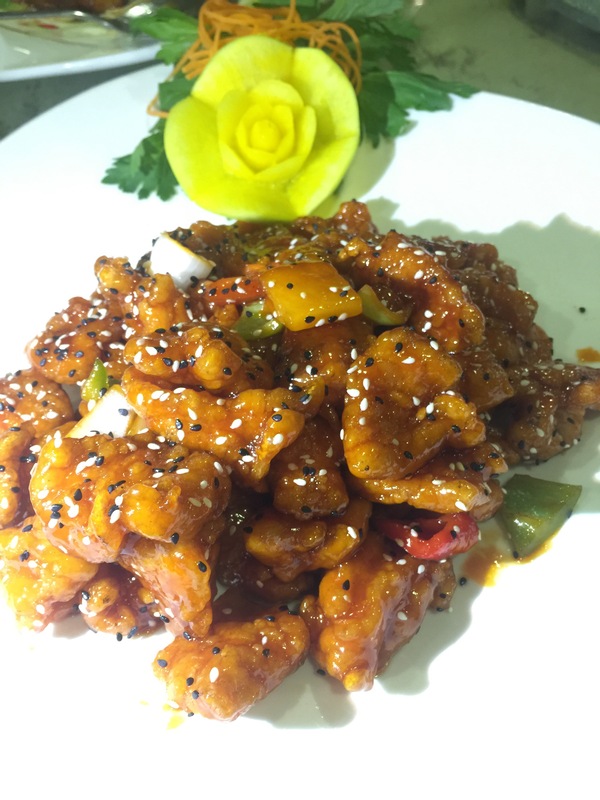 The Sweet and Sour Pork is easily one of my favorites out of all the dishes served during the dinner. 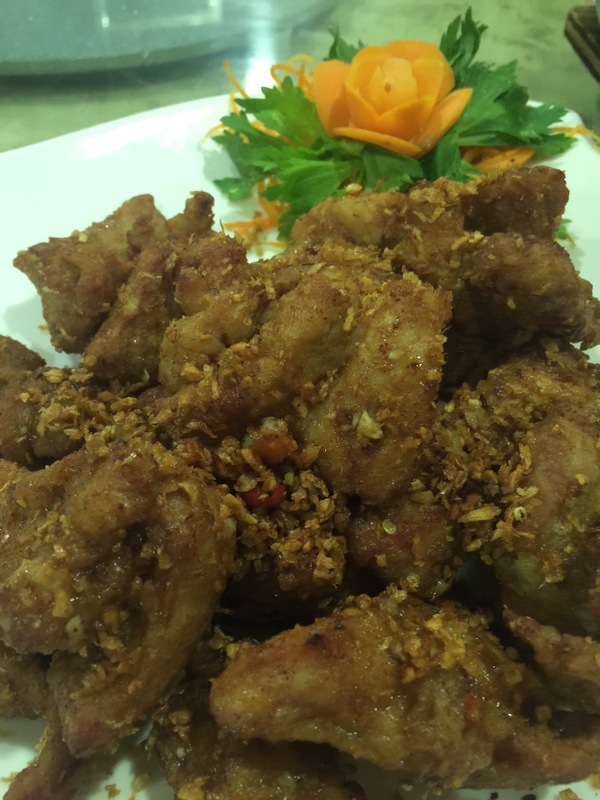 Unlike other sweet and sour pork dishes, the breading for Lucky Rainbow’s version is thin and not over-powering . 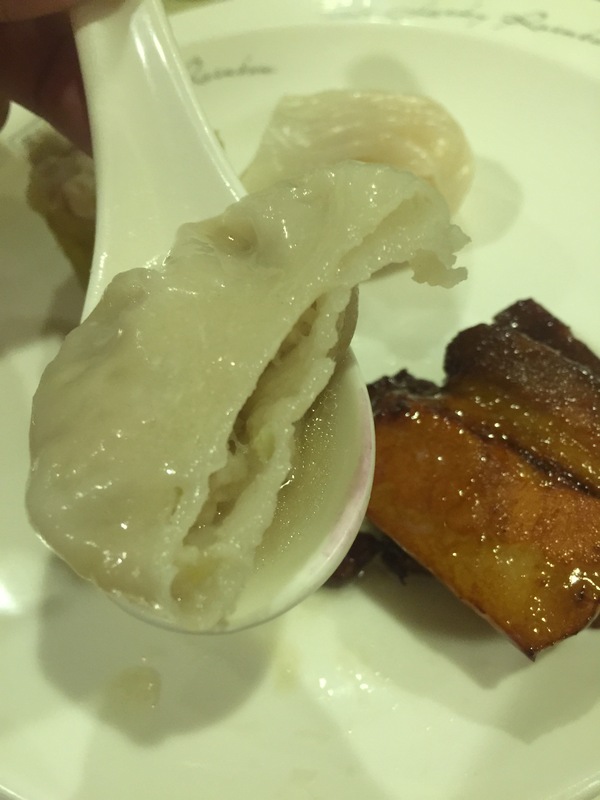 The bite is crunchy but the meat inside is soft and juicy. The sauce is a perfect balance of sweet and sour. At this point, to say we were already stuffed is an understatement. With diets thrown out the window, the bloggers were already overwhelmed with the sumptuous dishes in front of us. While the others seemed to can’t get enough of the Lapu-Lapu dish, I was still busy picking through the cold cuts and the sweet and sour pork. But no, Lucky Rainbow is not done yet. And then came the Fried Suahe crusted with salted egg yolk. If there’s a line-up of food being served in heaven, I am sure the fried Suahe is one of the things served by our Lord. Oh where do I even begin? The crust composed of the mashed salted egg is worth foregoing the spoon and fork and licking your fingers after. The Suahe inside is fresh, plump and juicy. If you’re not looking after your blood pressure – I’d say go ahead and indulge. Do you know how good this is? If ever you find yourself in death row and are asked about your last meal, I recommend you ask them to call Lucky Rainbow and order a kilo of this marvel. IT.IS.THAT.GOOD! 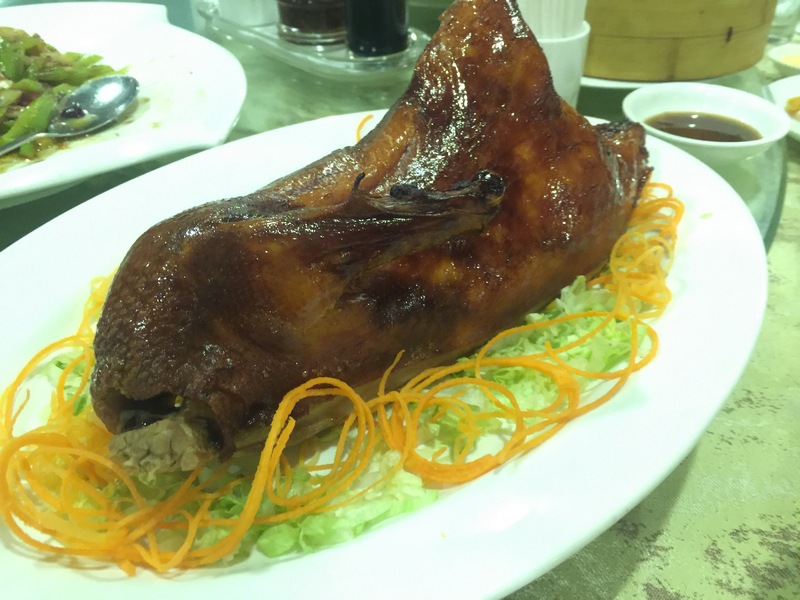 Of course, what’s Chinese dining without the Peking Duck? Lucky Rainbow’s duck is cooked just right and very juicy. It is usually served two ways, sliced and wrapped in lumpia wrapper and with special sauce or served chopped and sautéed with singkamas, bell pepper and carrots. The later is usually served with fresh crisp iceberg lettuce leaves, similar to the samgyupsal of Korean cuisine. This is the serving I prefer. 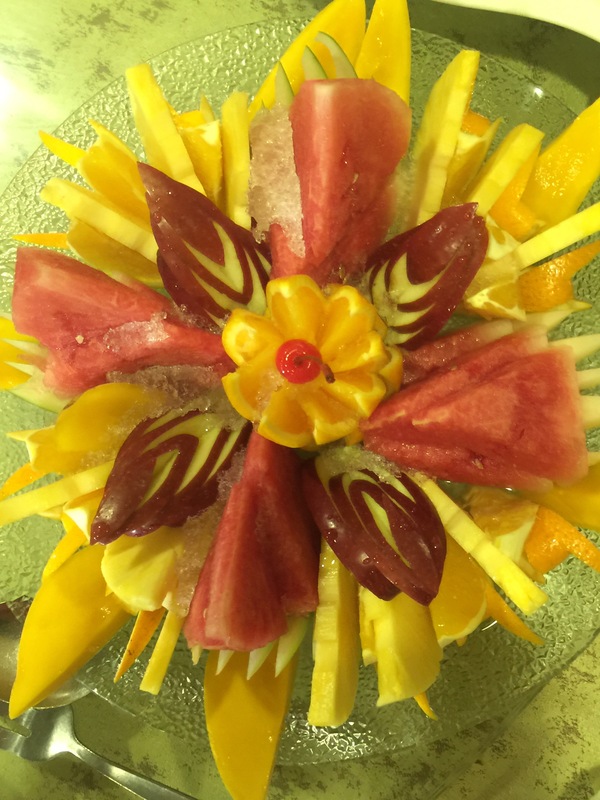 To cap off the delightful feast, we were served th a platter of fresh fruits. 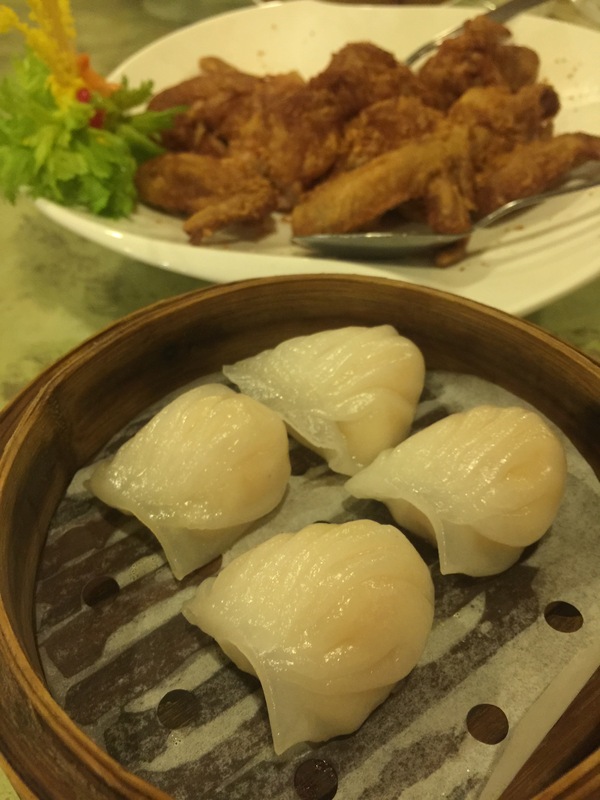 KamikazeeGirl’s verdict: If you are tired of the usual eat-all-you-can smorgasbord and would want a more intimate but elegant feast, try Lucky Rainbow HongKong Seafood Restaurant in Makati. The ambience is elegant and good for high-brow events and intimate family gatherings. Lucky Rainbow is open for events and functions, and is very accessible to all- with an easily-reachable location in Makati. Disclosure: Our dinner is courtesy of the owners of Lucky Rainbow. This review is written according to my own biases and opinions. This is not a paid post.